The Super Pet Run-About Ball is the perfect way for your Hamster or Gerbil to get the exercise they need while keeping them safe and secure. 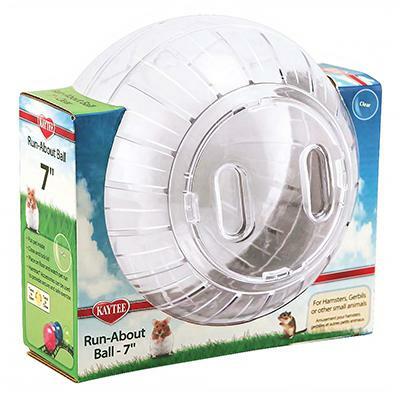 This strong, clear plastic sphere features plenty of ventilation holes and a secure, twist-lock door. Suitable for Hamsters, Gerbils, and other small animals. Do not use on top of a table or near stairs. 15-30 minutes, several times a day, is the perfect amount of time for your pet to roam!